I keep a list of the books I read and a very quick look at it reveals that Summer is when I read most. So we thought that we would dedicate this issue of Encounters to the general topic of books and reading, while taking a wider glance at related subjects such as language and narrative. All of this, of course, within a missiological framework. The result, at least to my mind, is an intriguing mix. Almost a score of missiologists contribute to our lead article, ‘Why not Read a Book about Mission this Summer?’, a collection of up-to-date reading recommendations ranging from, on the one hand, William Wilberforce – The Freedom Fighter to, on the other, Jesus’ Revelation of His Father: A Narrative-Conceptual Study of the Trinity with Special Reference to Karl Barth, both highly recommended though not necessarily to the same audience. Jim Harries looks at some tricky issues in the use of language and makes a heartfelt appeal for more attention to the local context(s). Richard Johnson passionately defends the buying, reading and keeping of books and clearly believes that the whole of civilisation depends on our response to this issue! The Editor has been visiting a local bookshop and thinks that he has discovered something which has missiological significance. Finally, Richard Johnson has also given us a fascinating book review on someone who was crazy about mathematics. I was going to include it in the recommendations above, but it is too long and too eccentric. But do read it. 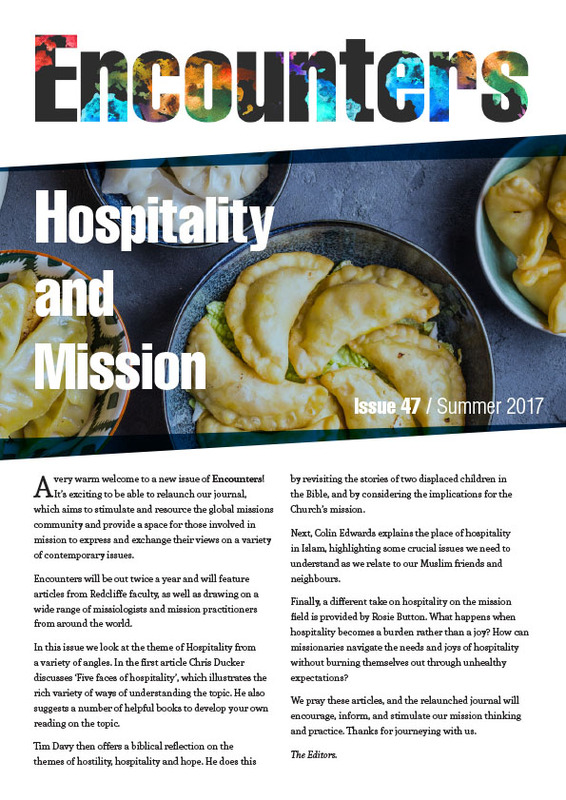 In a sense this edition of Encounters is intended to be a little more lightweight than usual (summer holidays and all that). In fact it has a very serious purpose. Communication, language, discourse, reading, education – there can hardly be more important missiological themes. Why Not Read a Book about Mission this Summer? Language in Education: Appeals for Local Tongues and Local Contexts. Book Review: The Man Who Loved Only Numbers. Issue 19: Single Document Version (in full).